A quick update on our latest project. 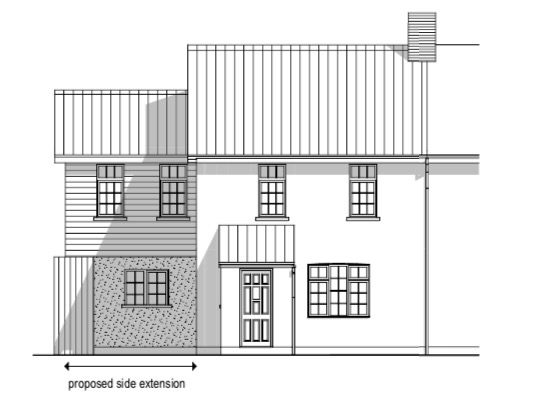 We submitted plans last week for our extension, now crossing fingers and toes we can get planning permission. It took a little bit of time to find the right architect and then final plans that really worked for us but we’re now really excited. We’ve put in for a double storey down the side of our house which extends a little out the back as well. We have a 250ft garden so loosing a bit of the garden really isn’t an issue for us. If approved, it’ll give us an extra bedroom and bathroom upstairs plus a huge open plan kitchen/diner/family space with a utility room at the front of the house. Moving to the next house on the ladder really isn’t an option right now, plus we love where we are, so this really would enable us to make the space really work for us. We’re a year or two behind on what was our original timescale for this when we bought the house but I think living with the space for that bit longer has really helped us to be clearer with what we want from extending. I’ll keep you posted. This entry was posted in Project, Uncategorized and tagged extension, family home, homes, house, renovation. Bookmark the permalink.